In celebration of Marvin Gaye’s 80th birthday on April 2nd, Motown/UMe will release his never-issued 1972 Tamla/Motown album, You’re The Man, in 2 LP gatefold vinyl and digital editions on March 29th. 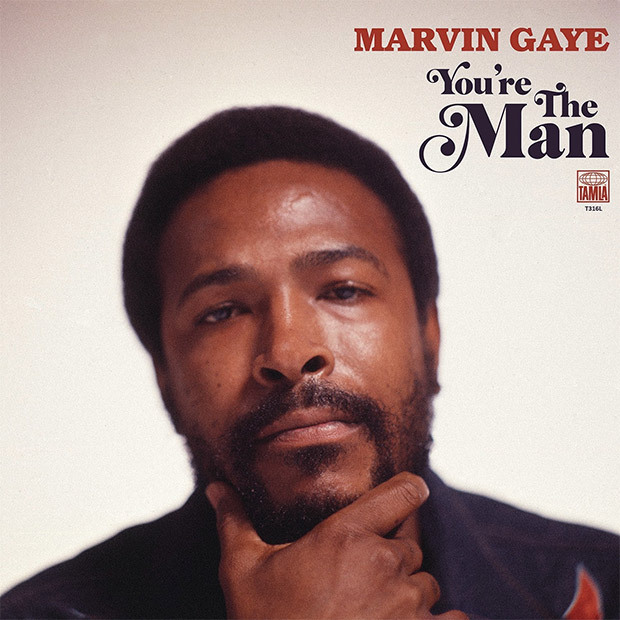 You’re The Man features all of Gaye’s solo and non-soundtrack recordings from 1972, with most of the album’s tracks making their vinyl release debuts. SaLaAM ReMi’s new mix of the album track “My Last Chance” is available now for streaming and for immediate download with album pre-orders. In addition to You’re The Man, Motown/UMe will release a new expanded edition of Marvin Gaye’s 1965 album, A Tribute To The Great Nat King Cole, digitally on March 15th. Honoring what would have been Cole’s 100th birthday, the album’s original mono mix makes its digital debut with the new edition, which also adds more than a dozen bonus tracks, including six alternate takes from the studio sessions.